My name is Michelle Minch and I am the owner of Moving Mountains Design, a Los Angeles home staging company based in Pasadena, CA. I began my career in design as a Stylist and Visual Merchandiser for Commercials, Music Videos, Television and Feature Films. Home Staging is a natural progression, allowing me to use my visual merchandising skills and years of design, marketing and management experience to create appealing and comfortable one-of-a-kind interiors that help sell homes. Call me at (626)385-8852 to learn how home staging can help sell your Los Angeles home or real estate investment property. 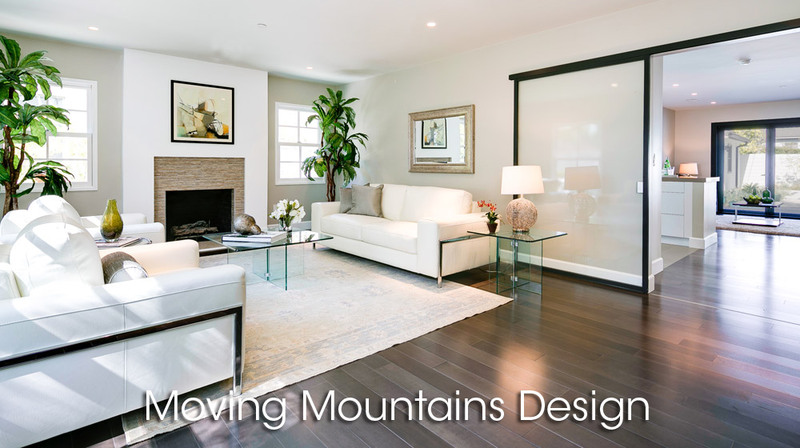 Moving Mountains Design offers home staging and model home services to home owners, investors, builders and real estate agents in Los Angeles, the San Gabriel Valley, Pasadena, Arcadia, San Marino, South Pasadena, Burbank, Glendale, Studio City Hollywood, Hollywood Hills and North Orange County. We also stage homes in Palm Springs and Rancho Mirage. My home staging and interior design work has been featured in the Los Angeles Times, the Chicago Tribune, Green Builder, Sunset Magazine, Los Angeles Weekly and many other national and international publications. I have also won 2 Chrysalis Awards for Excellence in Remodeling – one for kitchen design and remodeling and one for a whole house makeover. The stagers and assistant stagers at Moving Mountains Design are all carefully trained professional stagers and designers. Each stager is a specialist in staging different areas of a home – bathrooms, bedrooms, offices, kitchens, living rooms, dining rooms and family rooms. We work in concert as a team, and individually, to achieve the best possible outcome for preparing your home for sale. Curb appeal now starts on the internet. The National Association of Realtors estimates that more than 90% of people shop on the internet for their next home. This is where first impressions are made, and as we all know, you have only one chance to make a memorable first impression. After home staging, Moving Mountains Design will provide professional quality photographs of your home to use in online and print marketing*. These high quality, attention grabbing photos will help create interest in your home with potential buyers and other Real Estate Agents. If you don’t have appealing photos of your home on the MLS, your home may be dismissed with the click of a mouse. Home staging by Moving Mountains Design is a crucial ingredient in the recipe for a successful sale. The old maxim “location, location, location” as the only thing that matters when selling a home, no longer applies. The new maxim is “price, condition, location”. Buyers want a well priced home in a good location that looks move in ready. While we have no control over price or location, the home stagers at Moving Mountains Design know how to add perceived value to a home and give it that magazine photo look in a cost effective manner. Moving Mountains Design will accentuate the finest features of the home, creating a sense of warm welcome, comfort and a pleasing lifestyle. With desirable details highlighted, flaws are less apparent and buyers will be able to imagine how they will enjoy living in the home and the value it will add to their lives. “Michelle is my “go to” choice for home staging services. Preparing homes for sale is a critical part of my job as a real estate professional and Michelle is an integral part of my team. Michelle has an ability to transform a house from boring to inviting without making the home look staged. 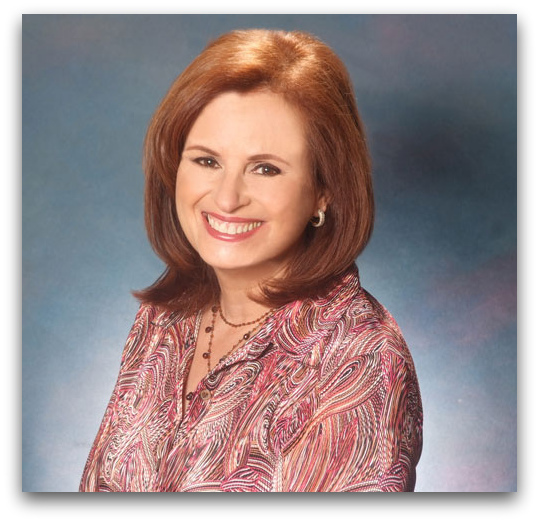 She has a thorough understanding of what the home buyers are looking for in a particular area and uses her talents in creating that perfect first and “continuing” impression. Many of my home sellers were so impressed with her home staging skills and savvy that they’ve used Michelle for decorating their next home. We only use furniture and accessories that are appropriate to the architectural style of the house. Because we own all our furniture, we have many styles and colors available to us. For example, we won’t use traditional furniture in a Mid-Century Modern, or Victorian furniture in a Craftsman. We take buyer demographics and stylistic preferences for each area into account. Every item is chosen with an eye to accentuating the architectural details, while keeping the home’s appearance accessible and attractive to the widest number of potential buyers. What makes Moving Mountains Design so effective in helping to sell Los Angeles homes faster and for more money? We understand the real estate market and what motivates someone to purchase one Los Angeles home over another. We know that a home buyer in Silverlake will be attracted to a different style of home than a buyer in Arcadia, and we stage accordingly. We have undergone specialized training in the fields of Home Staging, Feng Shui and Interior Design. With years of hands-on experience in these fields, as well as designing sets for commercials, film and television, it gives us the special ability to discern exactly what each property needs. Our goal is to make your home appealing and desirable to the largest number of potential buyers. The staff at Moving Mountains Design has the experience of many staging projects behind them to make that happen. If you would like us to stage in an area not listed, call us to check our availability. Do you own all the furniture and accessories you use for your LA home staging projects? We own all our own furniture, accessories, lamps, silk plants, throw pillows, bedding, artwork and a large number of Persian rugs. We also own a number of antiques and unique pieces of furniture. This allows us to choose from the greatest selection of furniture styles and price points, to best enhance the particular style of your home. Is Moving Mountains Design insured? Yes, we carry $4,000,000.00 of aggregate liability insurance and all of our staff members are covered by Workers’ Comp insurance. Regardless of what staging company you hire, make sure that they are insured for liability and that their employees are covered by Workers’ Comp insurance for your protection and peace of mind. Do you stage vacant homes? Yes, vacant homes are one of our areas of expertise. From condos to cottages to estates, 1,000 square feet to 12,000 square feet, we have staged many vacant properties with great success. Be sure to check out our home staging photos in the Portfolio section of this website. What is included when you stage my Los Angeles home? Everything that is included in your staging package will be clearly spelled out in our contract. Each project is different, depending upon the budget and other parameters determined in our first meeting. Generally speaking, all the furniture, accessories, artwork, plants and bedding used to give your home that model home feel are included. All the labor to install the furniture and accessories, and to take it away once your home sells, is included in the cost of the staging. Other services, such as cleaning or painting, can be arranged as well for an additional fee. Does having my home staged guarantee that my home will sell? Staging doesn’t guarantee your home will sell, but it does give it a better chance. When you put your home on the market, you have entered it into a beauty contest. The most beautiful homes are the most desirable and usually sell the fastest. Staging by Moving Mountains Design will maximize the home’s appeal to as many buyers as possible. The more appealing your home is, the more likely it will sell. Read this about how to help your home sell. Who pays for home staging? In most instances, the homeowner pays for staging their home. The homeowner is the one that stands to benefit the most if the home sells quickly or for more money. The homeowner will keep approximately 94% of the proceeds when a home sells, while all the Real Estate Agents involved in the home’s sale split 6% (assuming a 6% commission) of the proceeds. Additionally, the condition of your home when it is on the market is the homeowner’s responsibility, just as it was while you were living in it. What rooms do you recommend we have staged? The most important rooms to stage are the Entry, Living Room, Kitchen, Dining Room, Family Room (if the home has one), Master Bedroom & Master Bath. These are the key rooms that home buyers focus on and have the highest expectations of. We may also recommend staging a home office or children’s bedrooms. How long does staging take? The physical act of staging, when you work with Moving Mountains Design, typically only takes one day, regardless of the size of your home. Once your contract is signed and we receive payment, we require as little as 3 business days to prepare for staging your home. Our currently booked jobs will determine our availability. You should stage your home before listing it on the MLS. Once your home has been staged it will photograph better, thereby looking better on the MLS and in marketing & brochure photos. According to the National Association of Realtors, more than 90% of potential home buyers now start their search for a new home on the internet (NAR). Better looking photos mean more potential buyers will be interested in spending their time to see your home. Don’t waste the opportunity the first open house presents by allowing prospective buyers see your home when it has not been prepared to show at its best. The first open house usually generates the most interest and has the most showings. Make sure you are making your best first impression when it really counts. Does Moving Mountains Design always do all the work, or can I hire you as a consultant and do the work myself? We will do as much or as little work as you would like. If you want to do the work yourself, we can provide a consultation and outline the necessary changes. Or you can hire Moving Mountains Design to do the entire job, while you sit back and relax. Prepare to be awed by the results! Call us to arrange an appointment for an estimate (626)385-8852 or click here to request a home staging estimate. o We will make an appointment to see your home, make notes and take photographs. o We will then prepare an estimate, which will be emailed to you or your Listing Agent, usually within 2 business days. o Once you accept our estimate we will email you a contract. Upon receiving a signed contract and payment from you we will begin to prepare for your staging by selecting the perfect furniture and accessories to enhance your home. o On the scheduled staging day we show up at a pre-arranged time to install the furniture and accessories that will make you home look picture perfect. o Once staging is complete, we provide your Listing Agent with “after” photographs of your home to be used on the MLS and in printed marketing materials*. Contact us today to make an appointment for an estimate or consultation (626)385-8852. We know what makes homes sell!